First off, let me point out that the more hydrated you are the less bloated you will be. I know that sounds counter intuitive, but its not. You will retain less water if you properly hydrate your body. Water helps your liver convert fat into usable energy. If you don’t drink enough, your kidneys are overwhelmed with concentrated fluids, and they make your liver do extra work. 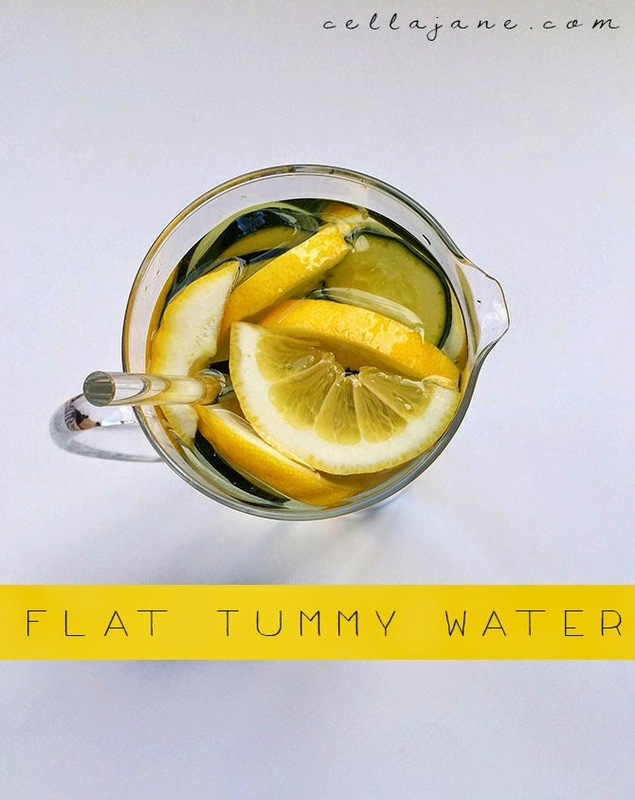 Your liver works hard to turn your body fat into energy that you use but if it has to do the kidney’s work, then it simply holds onto the extra fat that would have been burned off if you simply had enough water. 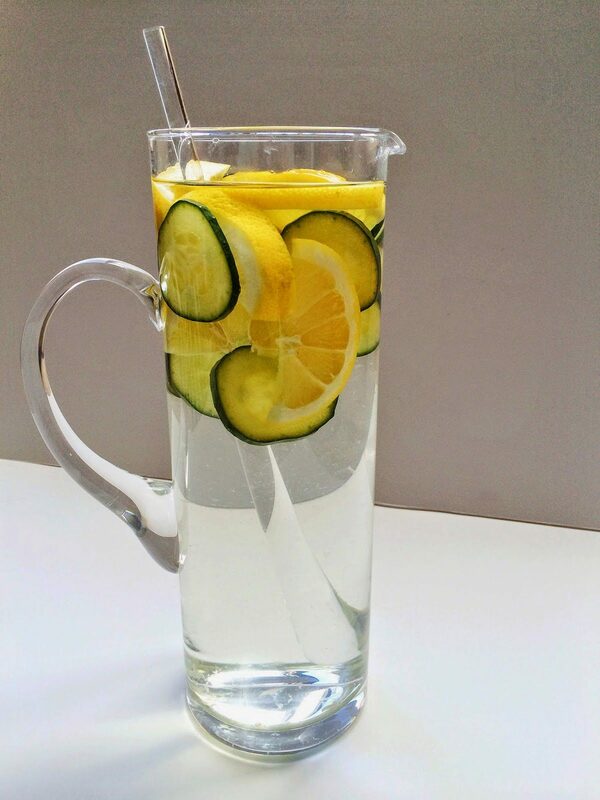 Cucumber lemon water will naturally quench your thirst and make you forget about mindlessly reaching for sugar-laden drinks, so its an easy way to cut calories from your diet. Cucumbers also act as a natural diuretic helping you get rid of excess water and bloating. Water is an important factor in preventing constipation, which can cause swelling in the abdomen and add on a few extra pounds. Last but not least, drinking enough water helps your body’s natural detoxification processes, which makes it function more efficiently, thereby facilitating weight loss. Keep a pitcher in your fridge! *On a side note: As of now I am not concerned with a flat tummy and that’s because my baby bump is growing! But at my last doctor’s visit, she reminded me how important it was, even so now being pregnant, to get lots of water. Recommended water intake for the day is 2 liters. So drink up and do share any yummy water cocktails you mix up! Congratulations on the baby bump! I have such a hard time drinking water, there's been times when I realized I hadn't had water in a couple of days (what?!? ), but if I put lemon (and sometimes cucumber too!) I'm more apt to drink it regularly. Great tips! I love putting lemon and limes in my water! It's so refreshing, and is so great for your body! I love adding lemon and cucumber to water. It makes it so much less boring and tastes so good!